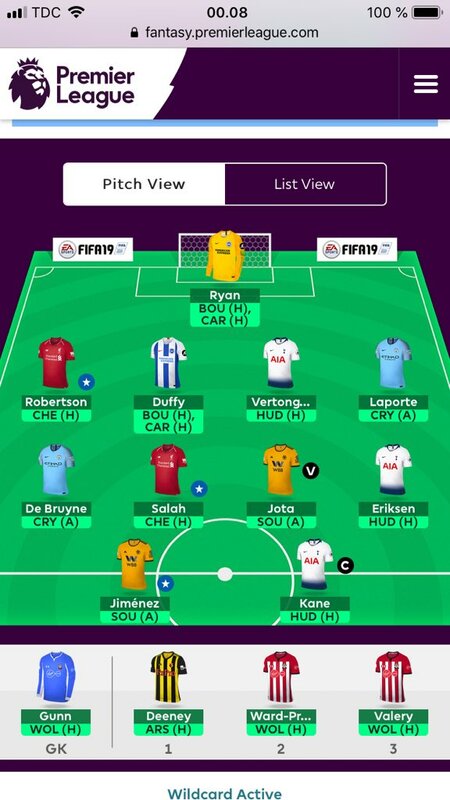 Here’s our FPL wildcard team tips GW34 article where 3 more FFGeek contributors post their draft wildcard teams. In this article we have Keith Spencer, FPL Word and Mikael Danielsen. A short article with no commentary just teams. Remember these are early drafts to give you some ideas on which to start your wildcard drafts. It is likely that these wildcards are being set up with the intention of being bench boosted or triple captained in the double gameweek 35. 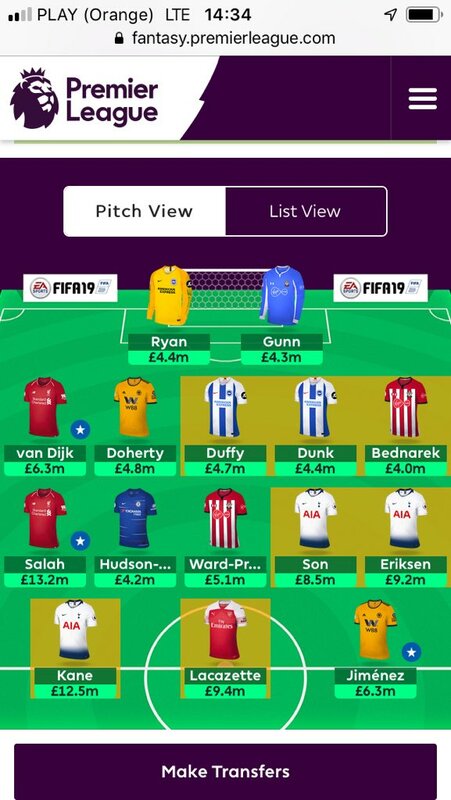 FPL Word finished 35K OR in 17/18. 9k in 16/17, 1k OR in 15/16, 5k OR in 14/15. His current rank is 22k. He has his bench boost and triple captain left. Here’s his current draft. At the moment Ward Prowse and Hudson Odoi are placeholders for price rises. FPL Word thinks he will bring in Cardiff Mid Camarasa. He’s also wobbling on Lacazette. Mikael finished 100k OR last season and 5k in 16/17. His current rank is 24k. He has a bench boost left. I see a lot of contributors are doubling up on the Brighton defense. Is that not a bit risky putting your eggs in one basket with a lower team who haven’t been in the best of form? Maybe… but they have a double fixture, both at home, against 2 struggling teams at present. Seems a decent chance of at least on clean sheet. I’d love the wildcard for 36. I think I can save it and navigate 34/35. AWB, Wilson and Hazard out. Duffy, Kane and 5.6 in for a hit. Yaniv… exactly. That is why I am only going with 2 Brighton, and will transfer 1 out for the BB in 35. I am not overly concerned with having a Pool player over the next 2 weeks. I plan to transfer in Mane GW36, however. United assets for 37 and 38 as they have Hudds and Cardiff.